has been a Group Management Board member since 2016 and oversees the operating processes at both UNIQA Austria and UNIQA International. He has been with UNIQA since 2014. Prior to that, he worked at the Allianz Group in Munich in various operations departments. Erik Leyers obtained a degree in economics in Munich and began his career in 2001 at McKinsey. has been CEO of UNIQA International AG since 2011. Previously he was managing director of UNIQA International. He was the CEO of UNIQA Assurances in Geneva from 2000 to 2004. Wolfgang Kindl has worked at the Group since 1996. A doctor of social and economic sciences, he began his career in sales. His degree focused primarily on insurance and personnel management. has been a member of the UNIQA Group Management Board since 2011 and is responsible for the areas of Finance and Risk Management. In this role, he has also been responsible for UNIQA Austria and UNIQA International since 2016. Since the end of 2017, Svoboda has also been the CEO of UNIQA Austria. In January 2019, he additionally took office as President of the Austrian Insurance Association (VVO). Kurt Svoboda studied business administration in Vienna and completed the International Management programme in St. Gallen. He began his career at KPMG in Vienna and gained experience at Wiener Städtische and AXA. 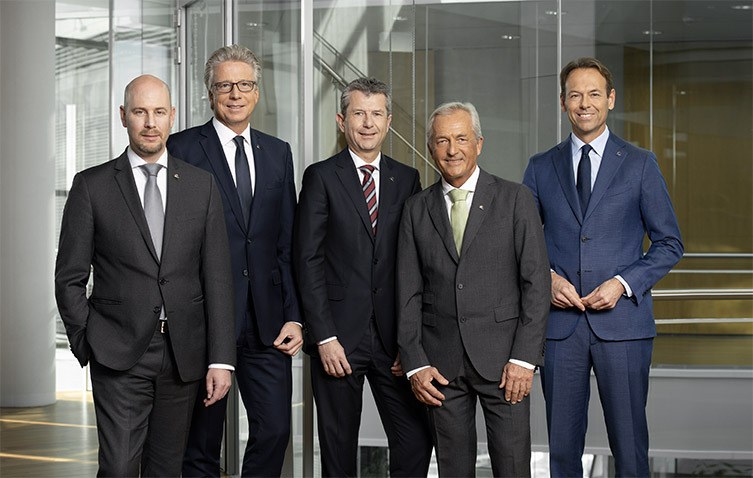 has been responsible for the UNIQA Austria bank sales since 2016. Before that, he was the Chairman of the Management Board at Raiffeisen Insurance Austria. Prior to joining UNIQA, he held various positions at Raiffeisen Landesbank Kärnten, most recently as General Director. Klaus Pekarek has a degree in law and social and economic sciences from the University of Graz. has been the CEO of the UNIQA Group since July 2011; prior to that, from 2002 he was a member of the Group Management Board, responsible for new markets, M&A and bank assurance. He studied political science in Vienna and in the US and holds an executive MBA from California State University/IMADEC. Before joining UNIQA, he was the director of Raiffeisen’s EU office in Brussels. In May 2018, Andreas Brandstetter was elected for a three-year term as President of Insurance Europe, the representation of European insurance and reinsurance undertakings.